As many of you know, this last year YIP has been seriously challenged by the increasing restrictions of the Swedish immigration authorities. 11 accepted students from beyond Europe, had their visas denied and were unable to join the education of their choice. A sad development for Sweden and a serious threat to YIP’s operation. We are still involved in challenging this decision in the court, but have been investigating alternative ways around this issue too. We are happy to announce that we have made the decision and agreements to move a part of the program out of Sweden and the Schengen Visa area. We speak of this new format as the ‘3-4-3’ model. YIP will be in Sweden the first 3 months, then the entire group (participants and staff) move out of Sweden for 4 months, staying 2 months in Brazil, followed by the internships, before the participants return to Sweden for the last 3 months of the program. 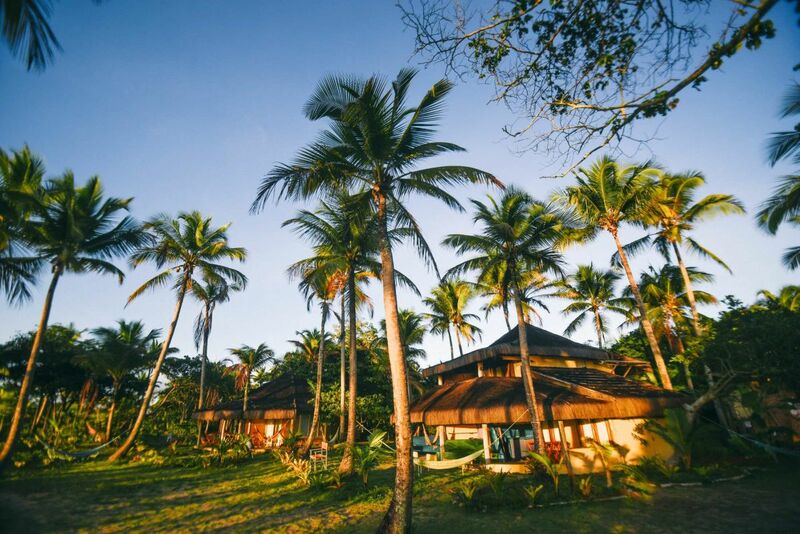 In Brazil we will stay with Universidade Viva Inkiri, which is a part of the community and eco-village Inkiri Piracanga. Having just visited this beautiful place, I feel the best comparison between Ytterjärna and Piracanga, is to compare these places to traditional food in Sweden and in Brazil. Both are radically different, and yet sharing similar strivings and purposes as well as their ‘localism’, sustainability and community efforts. The main difference might be, that here in Ytterjärna, YIP has it’s own sub-culture/community within the larger campus, where in Piracanga the whole community operates like YIP. Whilst in Brazil the students of the both YIP and Universidade will mingle. YIP will arrange the morning courses and keep inviting contributors. The students of Universidade Viva Inkiri will join these courses. In the afternoons, the YIP participants can join the diverse and hands on activities offered by Universidade Viva Inkiri. Possible engagements in the afternoons include: agroforestry, permaculture, sustainable building, black- and grey-water systems, composting, woodwork, textile work, natural soaps, -detergents and -creams, cooking, clowning, acrobatics, education and many more. We are very excited and grateful for this new collaboration and look forwards to all of you visiting! This new set-up is a prototype and will be the format for YIP10 for now. Once we have the experience of organising YIP in this way, we will evaluate and see if and how things might be improved, altered or redesigned for beyond YIP10. In addition to Piracanga, we are in conversation with organisations in the Philippines, Egypt, USA and elsewhere in Brazil to see what other collaborations might be possible in the coming years. At the beginning of the program, participants are hosted and facilitated by the organisers of the program, but over the course of the curriculum, more and more of the hosting, facilitating and design is transferred to the participants, resulting in entirely self directed and self designed elements in the last months. In order to act sustainably and to contribute to both individual development and collective well being, it is crucial to be ‘up to speed’ with what the major societal/planetary challenges are, but equally important to know yourself and your strengths and weaknesses. We believe that none of the global challenges can be taken on individually, so we need to figure out ways to work together. The program tries to balance this global and personal awareness, whilst engaging in collaboration around real projects. We start with zooming out, raising our Global Awareness through exploring some of the global challenges we are facing Next we zoom in, raising our Personal Awareness through exploring our personal challenges. Both these modules will be happening in Järna, Sweden. Around the end of November the whole crew shifts to Brazil, where we start with exploring ‘Community Dynamics’, looking at what makes and breaks groups and communities. 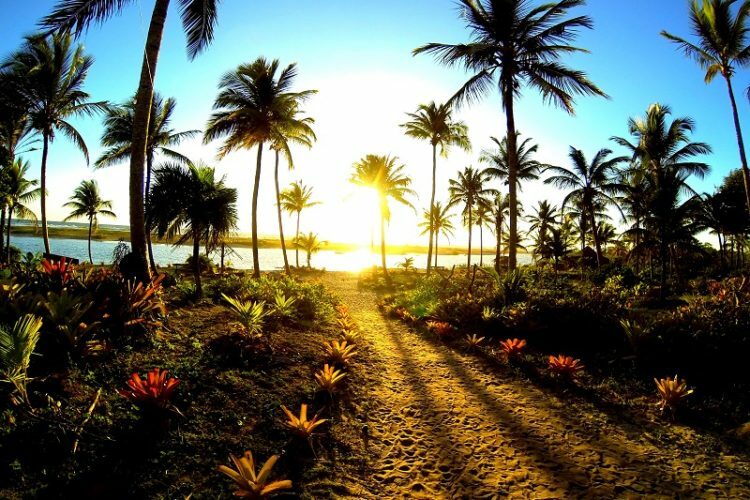 Instead of Initiative Forum, YIP10 will be taking on a joint ‘Group Challenge’ in the area of Piracanga in Brazil. This will be a very different event than Initiative Forum, but with the same potential for learning to work together as a group and to take an initiative from idea to reality. Once the challenge is completed, the YIP staff will make their way back to Ytterjärna, whilst the participants make their way to their ‘International Internships’. After completing the internships, everybody returns to Ytterjärna, Sweden. Back in Ytterjärna, the ‘Initiative’ period gives the chance to dive more deeply into the personal Initiative and into planning what project or future to work with after YIP. The last weeks of the program are spent in ‘Integration and Transition’. Harvesting the learning, closing the loop of the 10 month journey at YIP and preparing the transition into what comes after YIP. All we need now, is the participant to embark on this awesome journey. So please help us to spread the word and encourage anyone that might benefit from YIP to apply before June 15th! 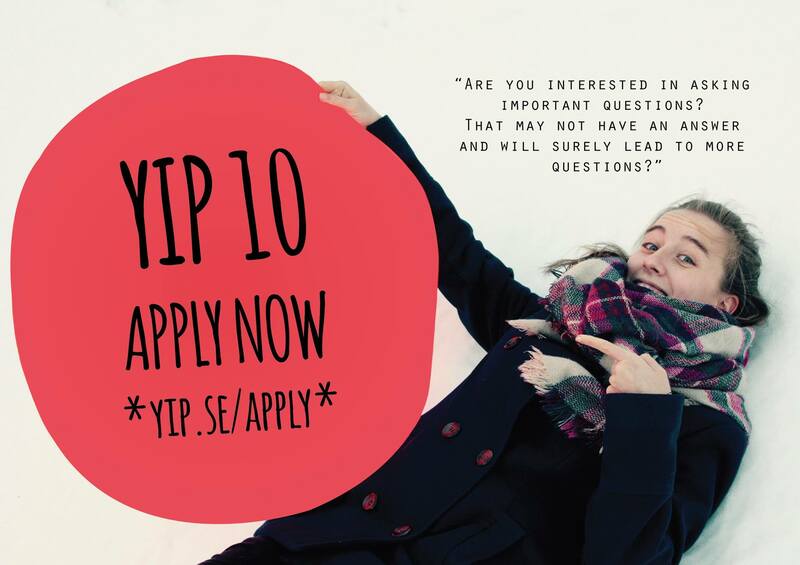 Apply for YIP 10 before the 15th of June! Want to get an overview of the current global challenges, learn to work with others, get to know yourself better and move around the globe at the same time? And between 18 and 28? Do you know someone who would? SHARE OUR WEBSITE AND FACEBOOK PAGE.